Is Pet Dander A Threat To Your Home? Whether they come from a dog, cat, or a bird, these tiny-to-microscopic flecks of skin from your pets can typically remain airborne in your indoor environment for long periods of time. Degrading the indoor air quality (IAQ), these pollutants can also be easily inhaled, triggering allergies in people living in that space. Pet allergens eventually settle on surfaces like carpets & upholstery. If not cleaned regularly, these surfaces can reintroduce these contaminants into your indoor environment. What Effects Do Pet Allergens Have on Health? Can You Control Pet Allergens? Despite your best efforts, pet dander remain in your environment for months. 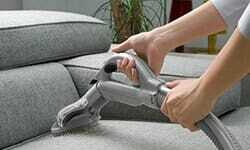 To ensure a healthy indoor environment, it is advisable to engage a professional cleaning company every six (6) months. Keep a healthy, pet dander free home. Call Big Red now! Big Red’s commercial and residential cleaning services extend beyond carpet and rug cleaning to upholstery cleaning, marble & parquet polishing, and a lot more! 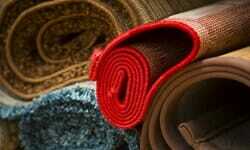 How carpets affect your health and your pets’ health.